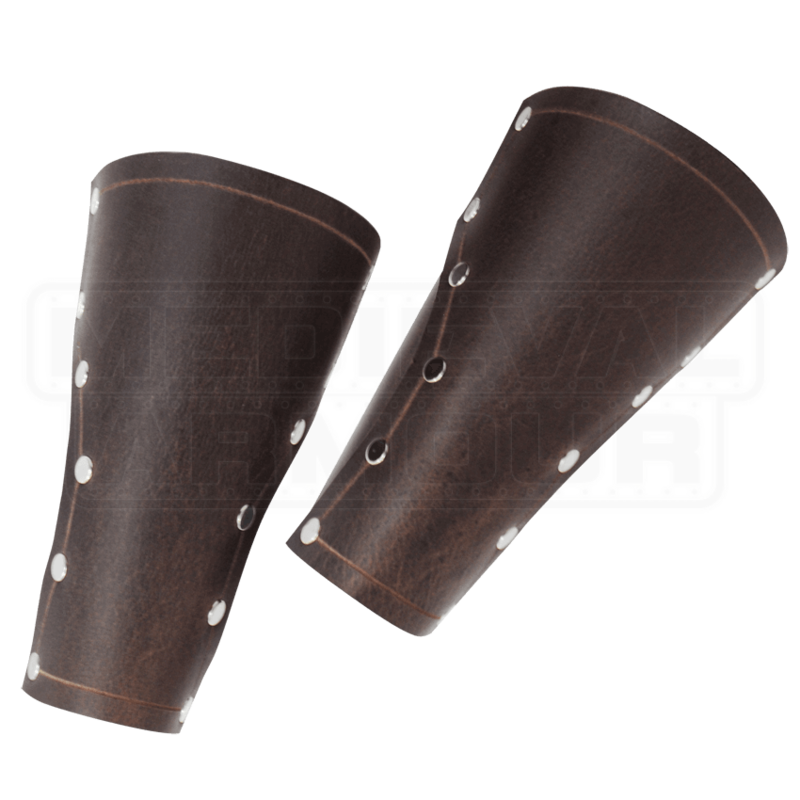 Based loosely on the designs of leather armor worn by its namesake, these Baudouin Leather Bracers are built to Crusader standards, making them a pair of straightforward defenders that will suit any warriors overall style and need with ease. These bracers are designed with function over form, featuring a double-layered leather design that makes them quite protective, especially when you consider that they are made from rigid 9-10 oz. leather, which is a perfect weight and thickness for use in LARP combat and costuming, providing a good plenty of rigid protection and flexible movement. The bracers are laced up the back for adjustable wearing, while featuring a double-row of rivets along the front, which serves the purpose of securing the leather plates together. It also accents the appearance of the bracers quite nicely, as well. They make for a fantastic accent piece to add to your look, as well as a solid piece of defense to wear when you are heading into battle, too. 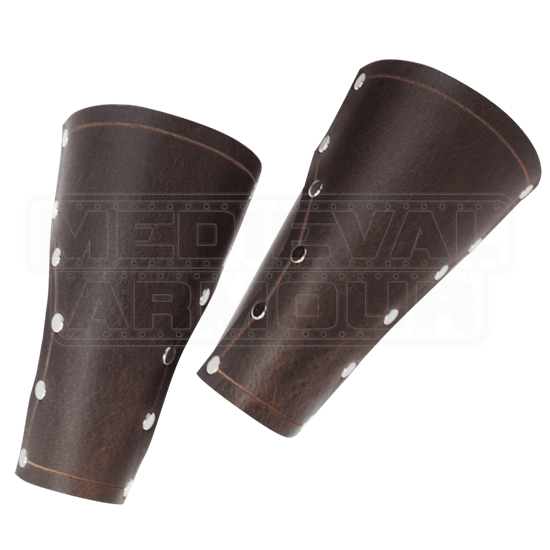 Pair these Baudouin Bracers with any of our other Baudouin pieces, or mix and match them with some of your own armors and accents, and, in no time, you will have a protective and historical look that will leave your friends and foes in awe of your battlefield presence.